One of the best sci-fi films in recent memory is coming to the small screen. TNT has given Snowpiercer a 10-episode series order, green-lighting a Daveed Diggs-starring adaptation of Bong Joon Ho’s acclaimed 2013 thriller. TNT’s Snowpiercer series will star Hamilton standout Diggs and Oscar winner Jennifer Connelly, as well as Mickey Sumner, Susan Park, Benjamin Haigh, Sasha Frolova, Katie McGuinness, Alison Wright, Annalise Basso, Sam Otto, Roberto Urbina, Sheila Vand and Lena Hall, per Variety. Scott Derrickson (Doctor Strange) directed the pilot, which was scripted by Josh Friedman (War of the Worlds, 2005). The network has yet to name a showrunner. Joon Ho’s film, based on the 1982 French graphic novel La Transperceneige by Jacques Lob, Benjamin Legrand and Jean-Marc Rochette, is a post-apocalyptic drama set on a frozen wasteland of an earth, ruined by an ecological experiment gone wrong. To survive the planet’s harsh conditions, what’s left of humankind has been confined to a massive, perpetually moving train that circles the world. Aboard the Snowpiercer, its cars are divided up into a class system, with the most impoverished inhabitants banished to the tail of the train, far from the most privileged passengers up front. 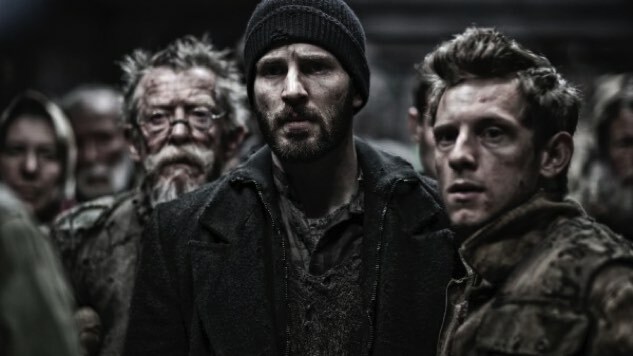 TNT’s Snowpiercer is currently without a premiere date.